I love burning candles because I, like most sane people, like good smells. Some candles come in really nice jars, for instance this one that started life as a Febreeze Apple Pie candle. 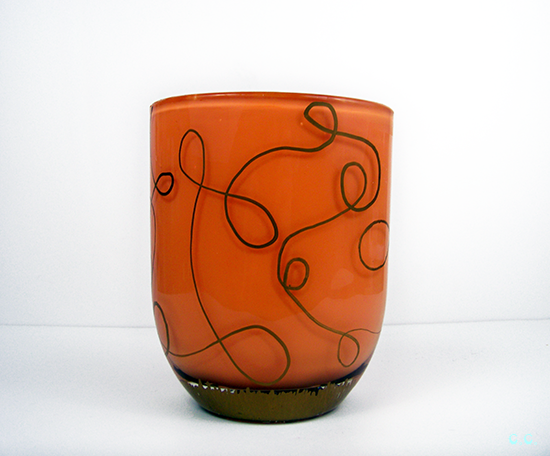 I would feel just awful throwing such a nice glass jar away, I knew I had to find something crafty to do with this. 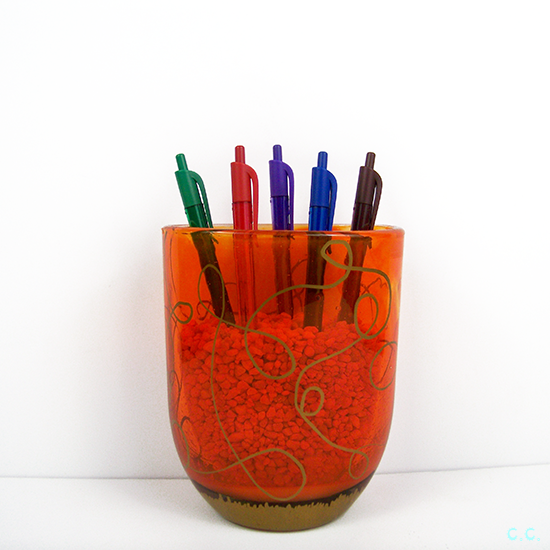 Here's what I came up with: a quirky colorful jar to hold some of my plethora of pens on my desk. 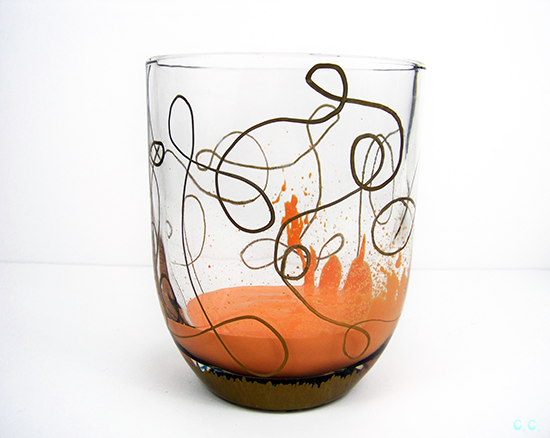 You could easily use this same project for makeup brushes, paint brushes, pencils or pens. Learn how to make your own below! Step 1: Clean all of the wax and gunk out before you start this tutorial. 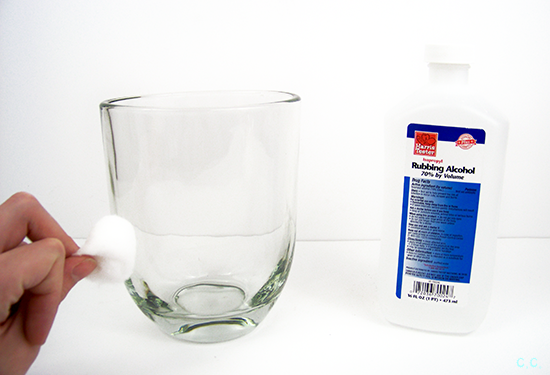 To begin clean the outside of the jar with an alcohol soaked cotton ball. 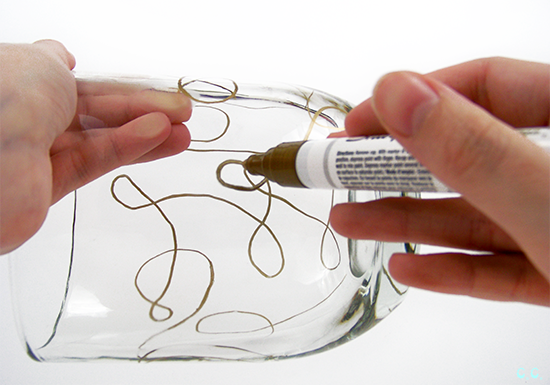 Step 2: Use your paint pen to doodle on your jar as you like. I went with one long swirly line and a little bit of sketchy-ness near the bottom. 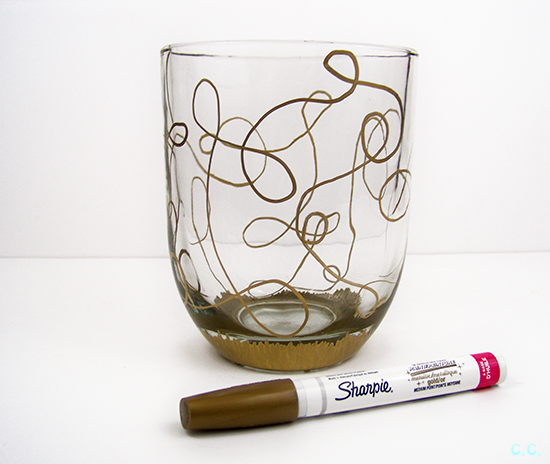 Step 3: Pour your mod podge sheers inside, swirl the jar around slowly until the entire inside is covered. Pour the excess back into the bottle. 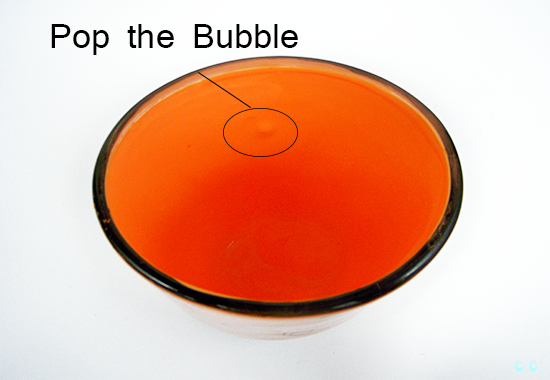 If there are any noticeable bubbles use a pin or needle to pop them. Do this quick otherwise they may have time to harden. 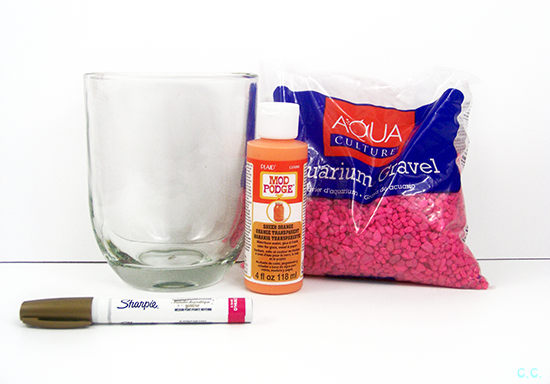 Step 4: (Not Pictured) Once the Mod Podge is dry, fill the jar up with your aquarium gravel. 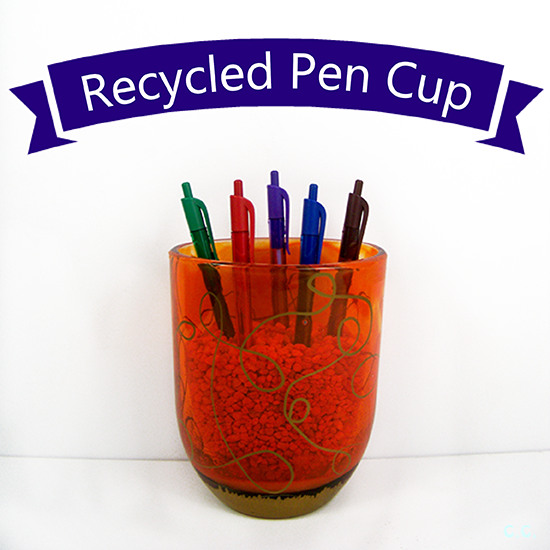 Step 5: Stick your pens/pencils in your gravel and keep your jar on your desk within easy reach. I am sorta in love with mod podge sheers, although I think I prefer the brush on method for applying it (like I did in this tutorial). I really love the vibrancy of the colors and experimented with the orange already, here. I am probably going to use it in a decoupage manner next time, we'll have to see! Have you tried Mod Podge Sheers? What did you think?